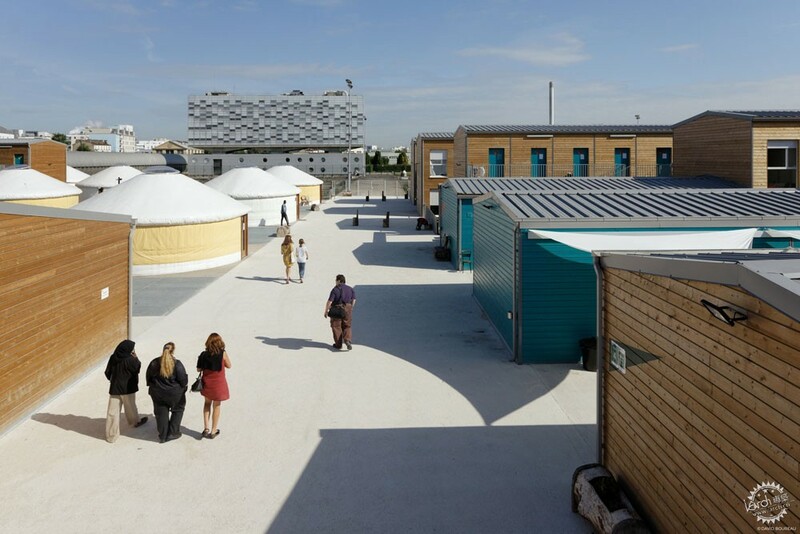 This project is commissioned by the ONG Emmaüs Solidarité, as part of the attempt to provide a solution to the refugees constant arrivals. 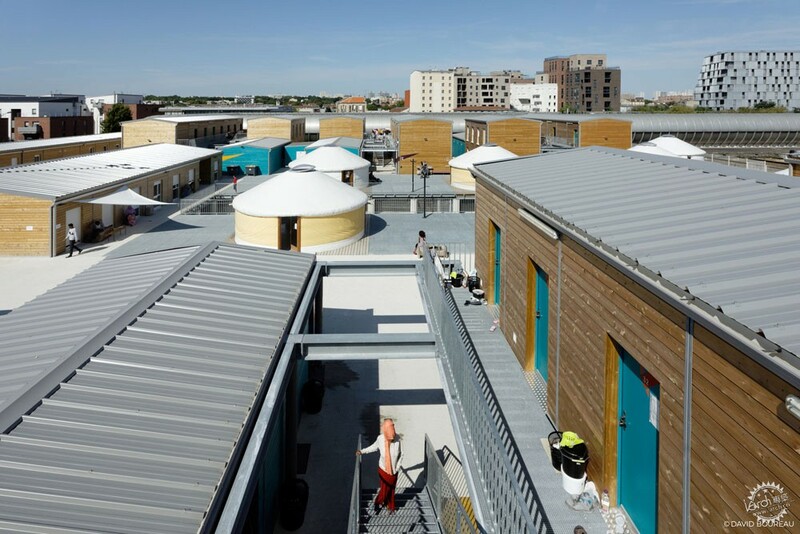 The project takes place in Ivry-sur-Seine, a suburban city, on an old water’s factory. This large industrial site (90000m2), no longer used, is waiting for a new urban project to come. 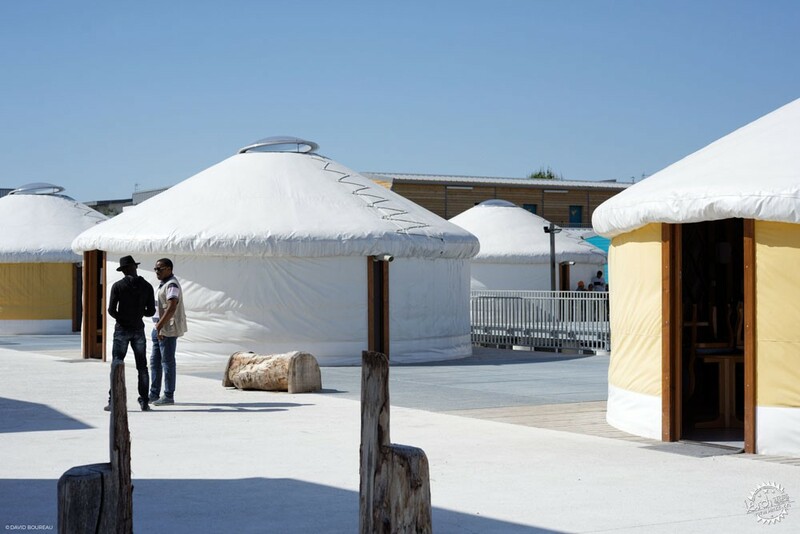 The Emergency shelter is made for 400 people (350 refugees and 50 Roma community). 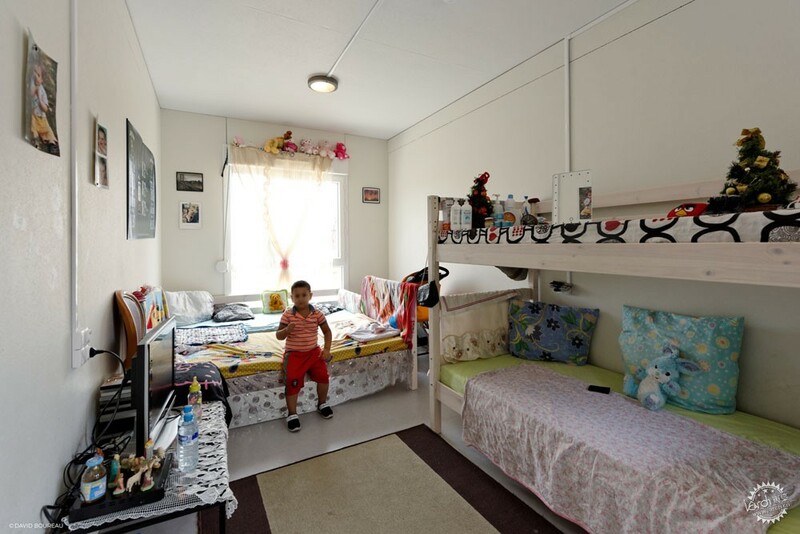 Families, sometimes with children, and isolated women are hosted for 6 months maximum. This humanitarian program is almost an unprecedented situation in France wich leads to think about the current world’s state and appears to be a really challenging mission for the architects. The emergency engage to essential architecture. 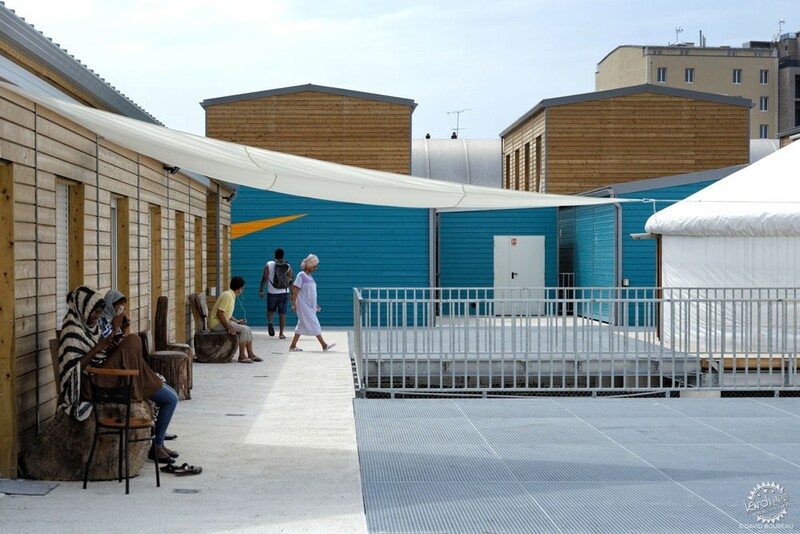 The first question is: How to offer dignity and functional qualities to a vulnerable population, with different cultures? 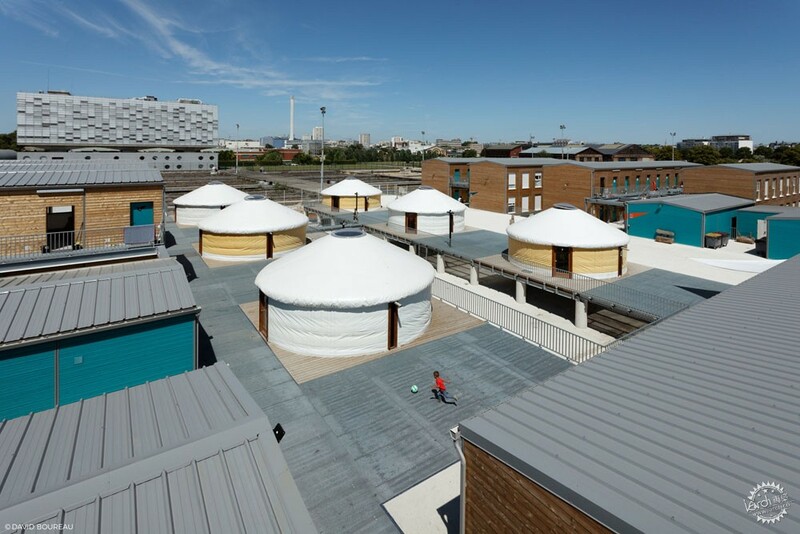 The project is thought like a little town, a common notion of « habiter » regardless of geographic origin. Between public space and the most intimate space, everyone easily accommodates with a life in community. From the Greek Agora to the Church square (when religion is placed in the city center), people organize their life around this permanent transition from public to private space, from sociability to introversion. 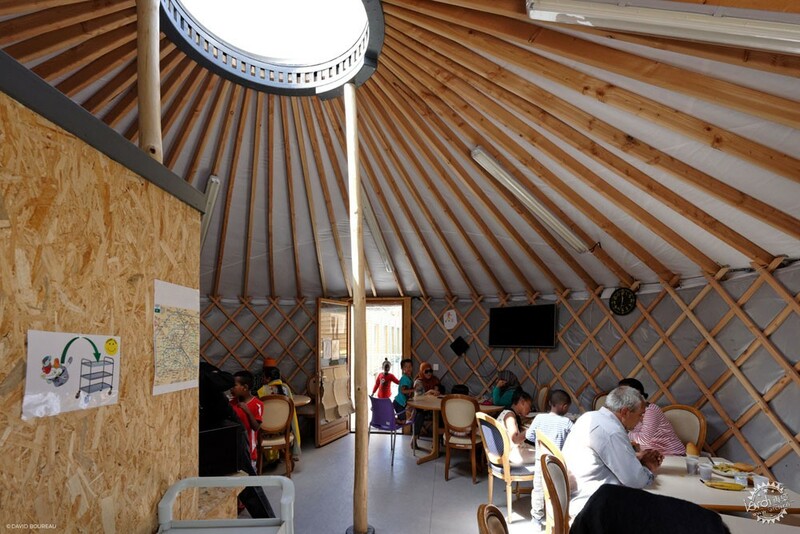 The six yurts, as multipurpose rooms, are placed in the Shelter’s heart. The vast free space separating them offers several places as a support to this small society of buildings. These places allows people to interract: children play games and people spend time together. The rooms are displayed on both sides of this central space, three streets are for isolated women and couples and three others for families. Started on November 2, 2016, the construction was completed on March 7, 2017: 4 months and 1 week. 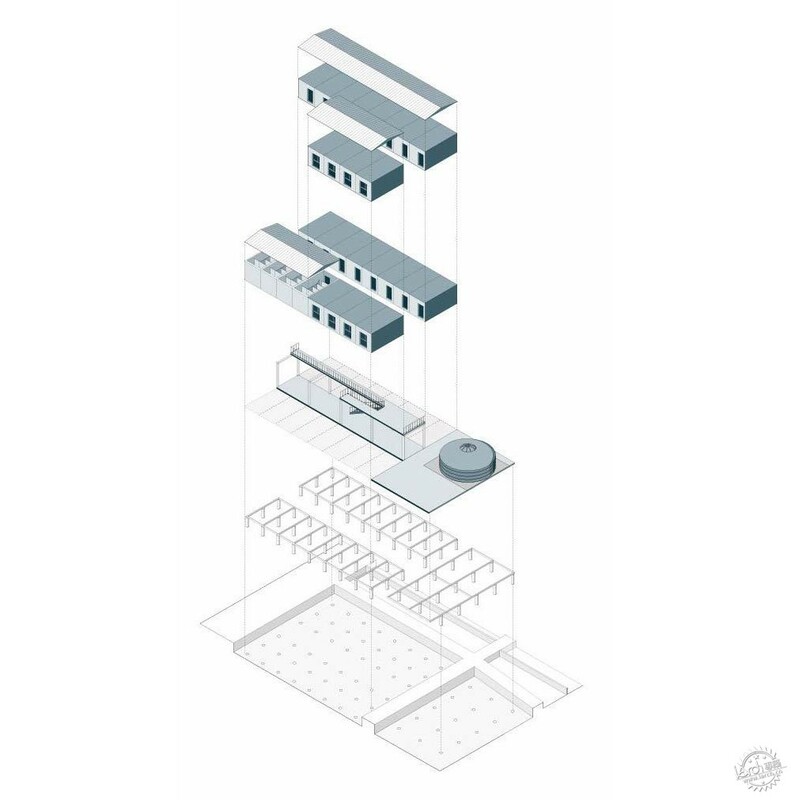 The center needed to be built very quickly wich leads us to choose a prefabrication system. 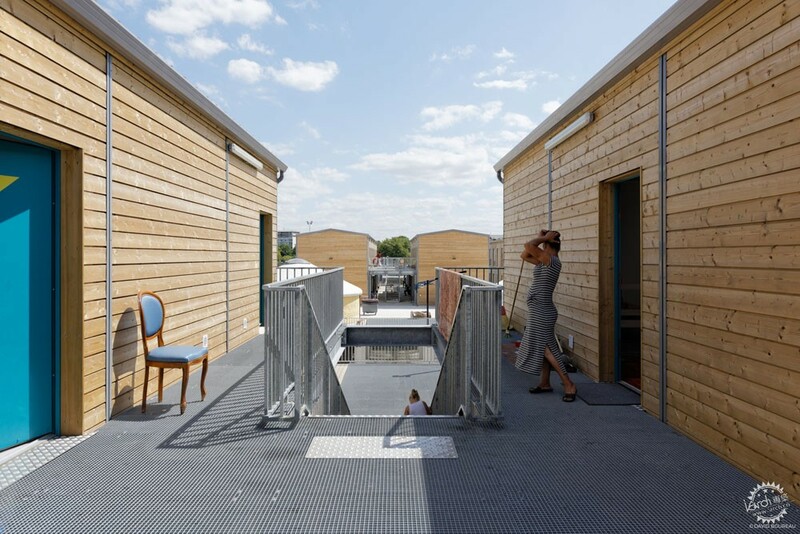 To reduce the time of the operation we worked on two constructions site at the same time: the infrastructures were made on site and the prefabricated wood modules in a factory near Nancy. These modules presented also another opportunity: they are reusable. This makes sense in terms of resilient architecture. We could imagine a second life for them, in a logic of circular economy for instance, or be reused by the same owner on another site. This is especially significant because the emergency shelter is planned to stay on this site for 5 years. This project consists in a complete remodel and an extension of a school who wasn’t able to host all the children anymore and to offer a better work environment. 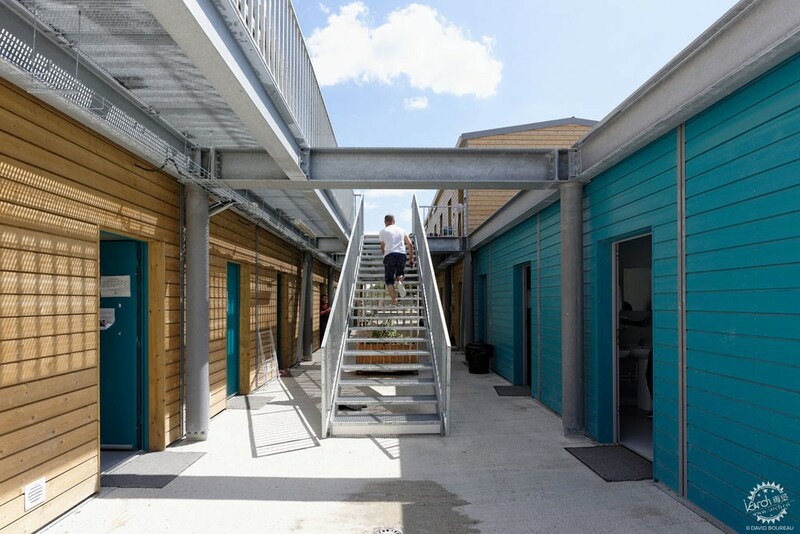 The geometry of this project is due to an adaptation between a site constrained by urban rules and a narrow parcel, and a consistent program (three classes, administration, computers room, learning room, toilets and technic room). We made it twist around the existing school and the surrounding buildings in order to fit it in the right place. However, the first challenge is function: building for children on their scale, and offering an appropriate educational space. 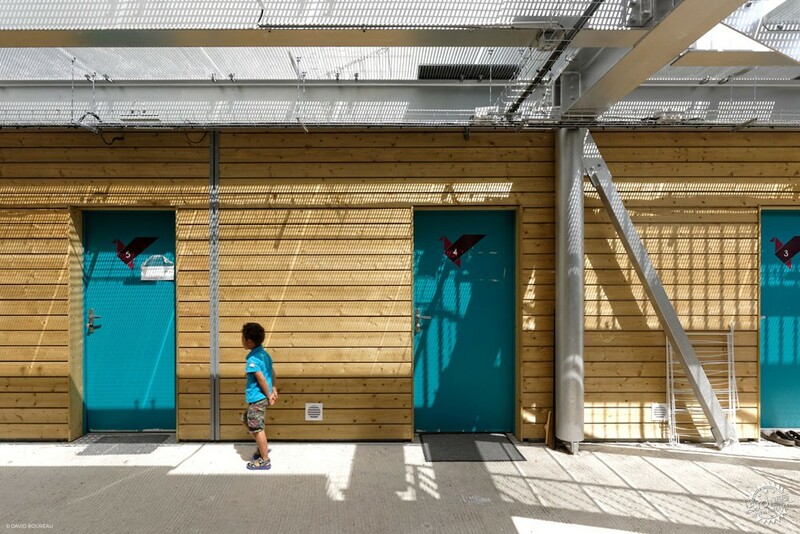 Designed on the right scale and thought as part of a whole, the school is in interaction with surrounding buildings.